Ankara (AFP) - Turkish President Recep Tayyip Erdogan dug in his heels Monday in what appears to be a widening rift with his own government over the Kurdish peace process. In a sign of simmering tensions at the top, Erdogan's longtime deputy Bulent Arinc told the president over the weekend to stop interfering and making "emotional" statements about efforts to end the three decades-long insurgency in the southeast. 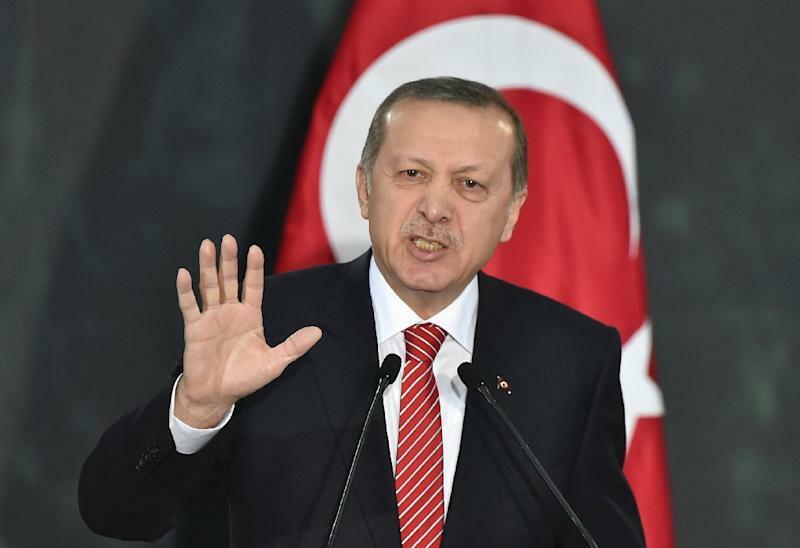 But Erdogan, seen as all-powerful since being elected head of state last year after 11 years as prime minister, hit back Monday in a televised speech: "The peace process began and reached the current stage under my responsibility. It is both my right and duty to voice my opinion," he said. Ankara mayor Melik Gokcek, an Erdogan loyalist, later called on Arinc to resign, accusing him of trying to undermine the ruling Justice and Development Party (AKP) -- which he co-founded with Erdogan -- from within. In a series of tweets he accused the Deputy Prime Minister of being a tool of the "parallel state", a reference to the Gulen movement -- once a staunch ally of the Islamic-rooted government -- which Erdogan claims plotted to overthrow him. "I always wondered... how they will strike at us," Gokcek wrote. "I must confess I wasn't expecting such a blow... they wanted to strike at us from within." In an impassioned response, Arinc bluntly called the mayor "dishonourable" and threatened to reveal his wrongdoings after the key legislative election in June. He acknowledged his "sympathy" for the Gulen movement, but said since a vast corruption probe into the government broke in December 2013 -- which Erdogan blamed on Gulen supporters in the police and judiciary -- "I have been standing by my government and Mr President. "I am not anybody's man. At the end of my political career I will walk with my head held high," he said. Arinc, who is also the government's official spokesman, had crossed swords with Erdogan earlier this month, telling him he had "no right" to threaten the central bank over its reluctance to lower interest rates. The rift comes in the run up to the June 7 election seen as crucial by Erdogan to rewrite the constitution to create a powerful executive-style presidency if the AKP party secures a thumping majority in the parliament. 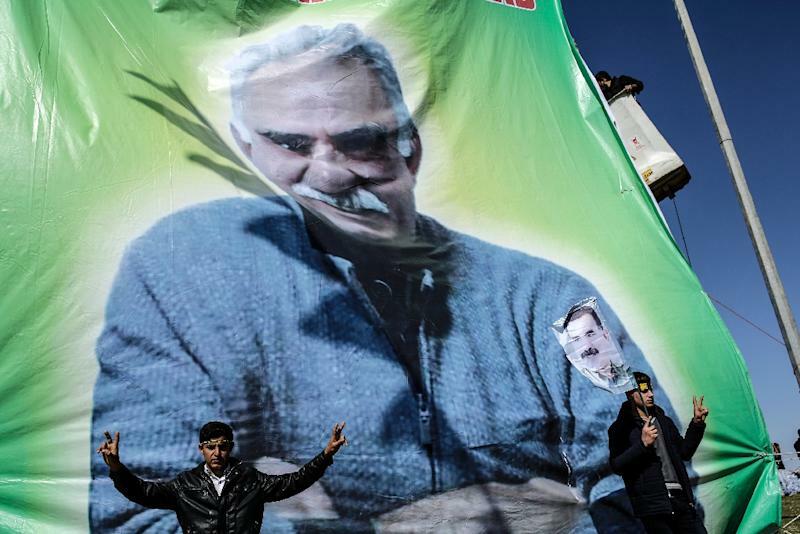 The latest dispute is rooted in a government plan to create a monitoring committee to oversee the peace process with the outlawed Kurdistan Workers' Party (PKK). Erdogan, who said once he was prepared to "drink poison hemlock" for peace, had taken personal control of the peace process through his spy chief Hakan Fidan. But he claimed he was not informed about the committee. Fidan -- who Erdogan calls his "secret keeper" -- sensationally quit his job in February to enter politics apparently encouraged by Prime Minister Ahmet Davutoglu, but was forced to backtrack when the president stunned observers by angrily demanding he stay. Arinc dismissed speculation of splits within the party and praised Erdogan as "our leader" and the "people's hero". He said if Erdogan was not fully informed, it was the government's duty to fill in the gap. But in a sign that it was not backing down, he said its committee would continue to monitor the peace process. Erdogan also expressed dismay at a joint public appearance by a pro-Kurdish lawmaker and a government minister on February 28. 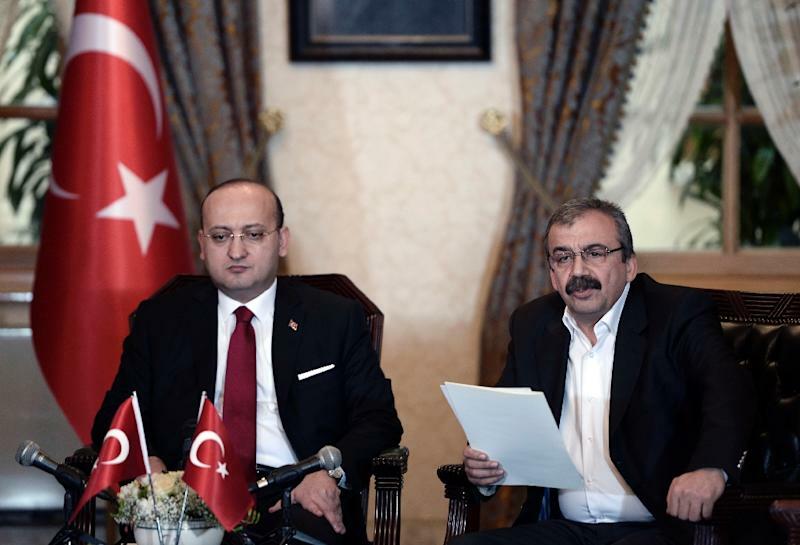 After a meeting at the Dolmabahce palace -- the prime minister's official office in Istanbul -- pro-Kurdish lawmaker Sirri Sureyya Onder relayed jailed Kurdish leader Abdullah Ocalan's call for disarmament at a joint press conference with Deputy Prime Minister Yalcin Akdogan. "I personally do not find it appropriate for the deputy prime minister to pose side by side with a party which currently holds seats in the parliament," said Erdogan, in comments published at the weekend. Arinc snapped back at Erdogan's "emotional" statements, insisting Sunday that the government was responsible for the peace process. Even pro-government observers see the friction as a sign of worrying cracks in the ruling party, which seemed to be cruising to another electoral victory. Columnist Abdulkadir Selvi, of the Yeni Safak newspaper, wrote: "The AK Party used to have a magic. The masses preferred the AK Party as they saw it as a symbol of stability. But this magic is breaking down."